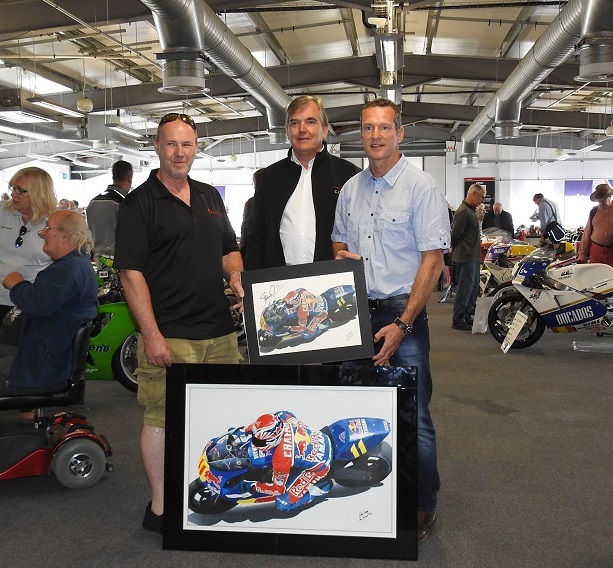 The original of this painting is now with Simon Crafar himself. 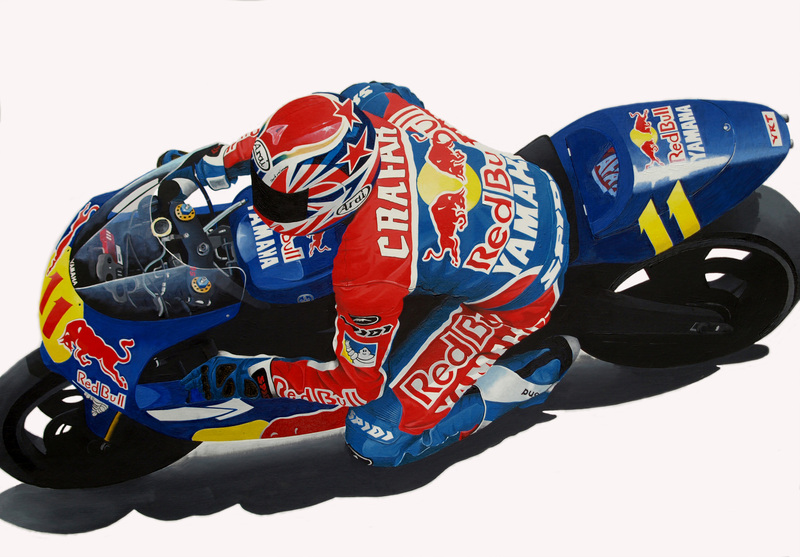 Simon Crafar, I'm pleased to say that I was there the day he conquered Donington Park in 1998 in an absolutely flawless display of skill and aggresion. How someone can be so aggresive on a bike and so unbelievably pleasant and courteous when not is a mystery far behond me.